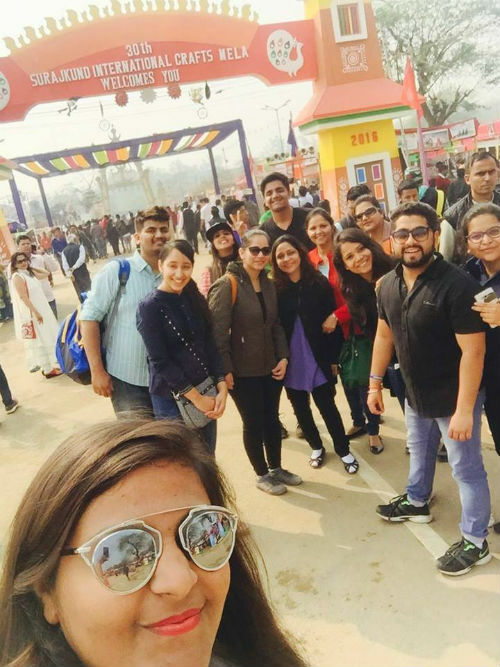 A trip to Surajkund International Crafts Mela, Faridabad was organised on 10 February 2016 where students of PGDM 2015-17 witnessed regional and international craft and traditions,a celebrations of vibrant colors of Indian folk culture and heritage. The Craft Mela is the largest craft fair in the world and this year Telangana was chosen as the theme state and students witnessed the grandeur of handicraft and handloom. The students enjoyed the cultural perfomances held in open-air the atres. It was a fun filled trip with lots of amusement, adventure rides and showcase of traditional heritage. It was a memorable trip for students.